In today’s NHL rumor rundown, there are updates on Ilya Kovalchuk out of Los Angeles as well as some updates on a couple other Kings’ players, former coach Ralph Krueger may be on his way back to hockey, and the Vegas Golden Knights haven’t confirmed the arrival of one of their KHL prospects but the player’s agent and the player are working to get to the NHL right away. 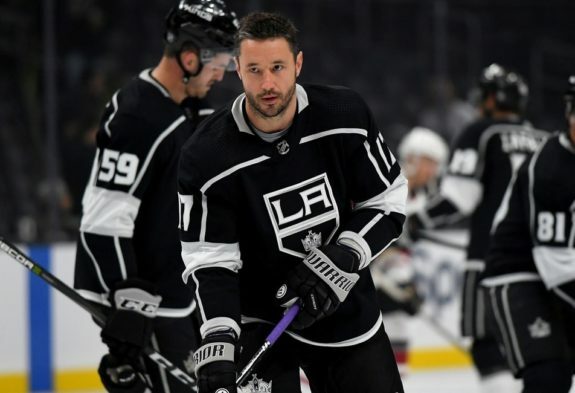 Jon Rosen of LA Kings Insider is reporting that Los Angeles Kings forward Ilya Kovalchuk was on the minds of a couple of Eastern Conference teams before the trade deadline and while he wasn’t moved, the Kings will sit down with him again and discuss his future with the organization. Kovalchuk carries a $6.25 million salary cap hit for another two years, but after July 1st, he’ll only be owed $4.95 million in salary. Teams might be interested after that date. In other Kings-related news, Igor Eronko of Sport-Express tweeted that forward Nikita Scherbak could be heading to the KHL next season. Scherbak is scheduled to become a restricted free agent this summer and could potentially bolt for Russia after failing to make much of an impact in the NHL. He has just eight points in 37 NHL games across his career. Two other names that could be moved out of LA are, Jeff Carter and Trevor Lewis. 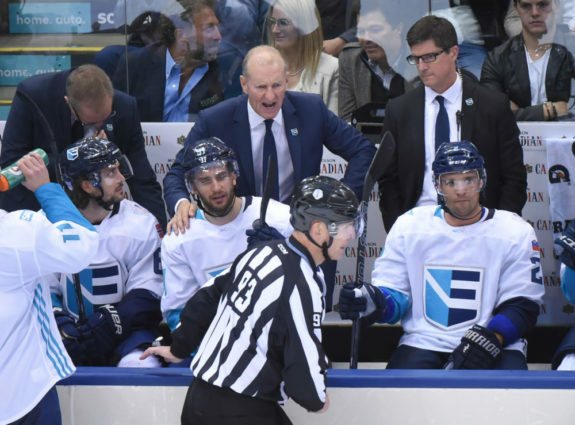 Ralph Krueger to Return to NHL? Former NHL coach Ralph Krueger has left his post as Chairman of the Southampton Football Club. His contract was set to expire at the end of June, but all parties decided not to extend his deal. Not long ago, Krueger told Pierre LeBrun of The Athletic that he may be interested in returning to the NHL in a front office role and his departure from Southampton will lead to speculation he’s trying to make his return. What will be interesting to watch is if he jockey’s for a coaching position or if he shoots higher, aiming at a job like President of Hockey Operations. As a follow-up to our report that Nikita Gusev is looking to join the Vegas Golden Knights for their playoffs, a number of media outlets are on the story confirming that his agent JP Barry, CAA Sports, and his Russian agent are working on getting his release from SKA. Aivis Kalnins is reporting that he is trying to get out of his deal but SKA management doesn’t appear eager to release him and Jesse Granger writes that the Golden Knights are not commenting on the report that Gusev could be heading to over to join them. Canucks To Trade Up at NHL Draft?